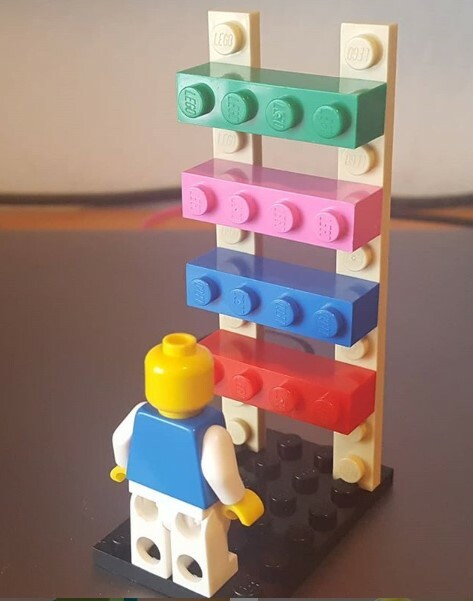 James (2013) described LSP as “a set of activities combining metaphorical modelling, building with Lego and peer discussion to explore complex issues”. The facilitator asks the participants questions that are closely linked to the problem the team is trying to solve. Participants answer these questions by building models using LEGO bricks and sharing their stories and insights using metaphors and representing one thing in the form of another. These metaphors can prove very useful for an organisation or a team as Schon (1971) discovered that metaphors are a means of ‘creating radically different ways of understanding things’. What really sets an LSP session apart from a regular meeting or workshop is not only the use of LEGO but the facilitation method that requires everyone’s voice to be heard and in equal terms. It’s a very democratic process that gets everyone involved. Aim of this article is to share insights and experiences that I gained using LEGO® SERIOUS PLAY® to facilitate Human Resources and Organisational Behaviour seminars at the University of Brighton. Sharing the challenges and how I tackled them will hopefully start a fruitful conversation with fellow teachers that are considering LEGO® SERIOUS PLAY® as a tool they could use in their classrooms. I also want to get feedback from teachers that have already used LSP in their classrooms and how it worked for them and their students. I was employed by Brighton Business School to facilitate 2 seminars per week for 15 students per seminar. Each seminar lasts one hour and the content is based on the lectures delivered by the module leader and other senior lecturers. The module these seminars are part of is called Human Resources Management and Organisational Behaviour. It’s a first-year core module that Management students must take. Aim of the seminar is to answer questions that the students may have after attending the lecture and explore some of the theory in more depth. My personal aim facilitating these seminars was to be as inclusive as possible, increase engagement (my goal was to have 100% engagement) and participation which would hopefully lead to the students learning a few things about management theory and writing good essays. My personal aims dictated a lot of the decisions that in the end shaped the formula for these sessions. Before starting to teach I had already facilitated quite a lot of LSP workshops for various teams in different countries and had witnessed the value that LSP can bring to a workshop as a facilitation tool so I decided to use it to try and achieve my goals. First challenge was time. One-hour seminar means 50 minutes as the next teacher and students need to come in and get ready for their session. Fifty minutes are not enough for an LSP workshop (or so I thought before I started). LSP workshops usually last at least 2-3 hours if not a whole day depending on the aim of the session. At the start of a workshop the facilitator will spend at least 30 minutes explaining the methodology and showing participants how they can use their Lego to express meaning. Second challenge was that students and especially first year students do not always go to lectures or do any reading before coming to the seminar. What that meant was that I had to not only discuss the theory but also go over the main points of the theory during the seminar because very few of them had any idea what we were talking about. Third challenge was that students do not attend all seminars. During term I had anything from 3 to 15 students attend my seminars. Some of them turned up every time, some of them I saw once or twice. That was an interesting challenge and maybe a test for the LSP methodology. Would students that attend more seminars have an “advantage” over students that don’t attend as often? LSP is a skill on itself so the more someone uses it to express themselves the better they become (more on that later). Would LSP turn the students that do not attend often away? How did I meet the challenges? I was lucky that my first seminar run before the first lecture, so I didn’t have any lecture content to go over. What that allowed me to do was show my students what LSP is and have them build Lego for the whole hour. What would I do with students that did not attend the first seminar though? I did not have a lot of options, so I just invited them to build and be part of the process and hoped for the best. Some picked it up immediately and started building, others needed some time and help from me or their peers. What motivates you to come to this seminar? The questions were answered by the students using Lego and not in a traditional “raise your hand, give me the answer way”. Everyone built the answer on their own and then shared them with the group. In LSP, participants build an answer to the question silently and then they share it with the team. The facilitator or the other members of the team can ask questions after each participant is done explaining their model or after everyone has explained their models. This sharing part of the process gave me great opportunities to ask the students questions about their Lego models and have them reflect on the theory or think about how to solve the problem we were discussing. At the end of the module I facilitated a roundtable interview where students shared their experiences throughout the module. Most of them mentioned that the most useful part was the questions I asked after they described their models. These questions gave them an opportunity to reflect and add to their ideas and concepts. Students also reported increased engagement, participation, creation of knowledge and a safe space for quiet students which are things that me and other educators observing some of my sessions agree with. That last insight on creating a safe space for more quiet students was very important for me and was high in my goals list. I wanted everyone to participate and share their ideas, not just the people that were the loudest. Some students mentioned that by remembering the models they built they gained access to memories of the conversations we had around the subject area that helped them write better essays it the end. Another experiment I did was build with them. Usually in LSP the facilitator does not build with the participants as the context might be unfamiliar to the facilitator. If I run a workshop for an oil company, there is not a lot I can contribute to the conversation about how to run their business. It was very different with the students though. Building with them was an opportunity for me to be part of the group, lead by example and convince them about the value of the methodology. They enjoyed that I shared my ideas on the subject area that way and allowed them to ask me questions about my Lego model that facilitated a non-threatening (for both parties) conversation. I believe that even though LSP has been explored as a learning tool in higher education before (Barton & James, 2017; James, 2013; Montesa-Andres, Garrigós-Simón & Narangajavana, 2014) there is no empirical evidence from sessions like the ones I am describing above. What we see in most cases are accounts of activities that revolve around but are not the student’s and teacher’s day to day reality learning like career development activities (Barton & James, 2017; James, 2013). This was also a seminar that run for the whole academic year so some of the insights and data I got through the student interviews describe the effects of several seminars rather than just one or two sessions. What I tried to do using LSP was change the whole way a seminar is run. I challenged myself and my students to move away from the traditional way of doing things. I think I got some things right and I did achieve some of my goals to a certain extend. I feel it was worth going through the pain of rethinking the whole concept of what a seminar is even though there were students that I saw one or two times during the whole year and there were students that did not do very well with their essays. Was that my fault or the Lego’s fault? I am not very sure as there are many other reasons students might not attend a seminar or not write a good essay. Next challenge? Write up a research paper to share these insights with the rest of the world! Until then I have a challenge for you. Pick up a handful of Lego bricks and build on your own or with friends and family. Try to answer questions like “how was my day”, “what is my biggest challenge at the moment” or “what does the perfect holiday look for me” and you will too know the power of LSP in no time. Feel free to send me an email if you are interested in knowing more about Lego Serious Play and how to use it for your teaching. My name is Vasilis Gkogkidis (if you want to pronounce my last name, take the two Ks out and you will do just fine) and I started my PhD at SPRU at Sussex university on September 2018. Before that I was working full time for a gamification consultancy called Gamification+ that is based in Brighton. I have a Computer Science degree from the University of Macedonia in Greece and a postgraduate Business Management degree from the University of Brighton. I came across Lego Serious Play while looking for interesting meetups around my hometown Thessaloniki, Greece. There was a Lego Serious Play meetup in Rome that inspired me to look up what Lego Serious Play is. I ended up co-facilitating a workshop with the LSP team in Rome. At the end of that workshop, I knew I needed to add Lego Serious Play in my professional toolkit. Since then, I have facilitated more than 50 workshops in various countries and settings, using the Lego Serious Play methodology, I have been through the Lego Serious Play 4-day training and I do believe that this is a tool that can be useful to quite a few different situations and contexts. How and why it works are questions that I am trying to look at through my PhD research and it’s a conversation for a later time. Barton, G. & James, A., (2017). Threshold Concepts, LEGO® SERIOUS PLAY® and whole systems thinking: towards a combined methodology. Practice and Evidence of the Scholarship of Teaching and Learning in Higher Education, 12(2), pp.249-271. Montesa-Andres, J.O., Garrigós-Simón, F.J. & Narangajavana, Y., (2014). A proposal for using Lego serious play in education. In Innovation and Teaching Technologies(pp. 99-107). Springer, Cham.